Kenwood are pleased to report works just complete to a beautiful mansion block in the Maida Vale area in the City of Westminster. 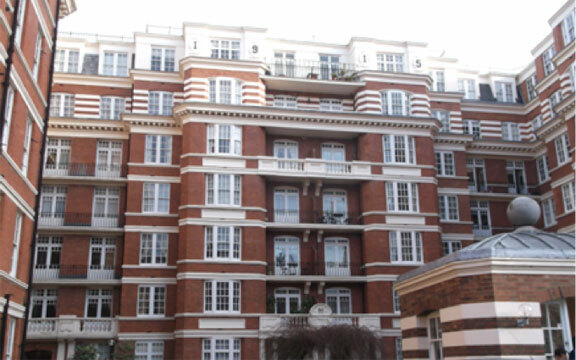 This striking Edwardian block was built in 1915 and comprises of 95 individual flats and a porters block. The block obtained permission the 1980’s to add an additional 6 flats the block and has undergone various renovations over the last century. Our works required our trained technicians installing a new chemical damp proof course and re-plastering the treated walls with a Kenwood special mix waterproof rendering system. The owners can now leave the walls to dry out and then redecorate leaving their property as good as new.